The skies have been pretty gray and dreary around Indiana this week. Which is just fine since I'm mostly snuggled up at home with my two little boys (still getting used to saying two...) But as I stare out the window, I can't help but daydream of our trip to St. Petersburg, Florida last February when we woke up to beautiful sunny skies everyday. 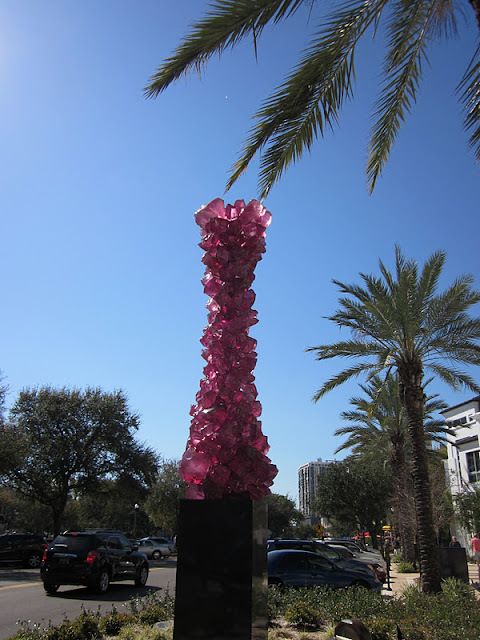 I especially loved the way that sunlight reflected on the beautiful sculpture by Dale Chihuly during our walk around downtown St. Petersburg. I'm a big fan of Dale Chihuly and would love to go on a world tour of his works of art. Unfortunately Big Arrow wasn't too cooperative when we walked by the exhibit in St. Petersburg so we didn't duck inside to see it all, but at least they had this work outside on display for all to see. I know it's been quiet around here lately... I hope to post more in 2012, so be sure to check back! I have several fun adventures to share, like our trip to the Indiana State Museum and our return to Robert's Tree Farm. And I'm happy to report that Little Arrow is a pro at daytrips already! Can't wait to take him on his first vacation. Which just might be a return to sunny Florida this winter. 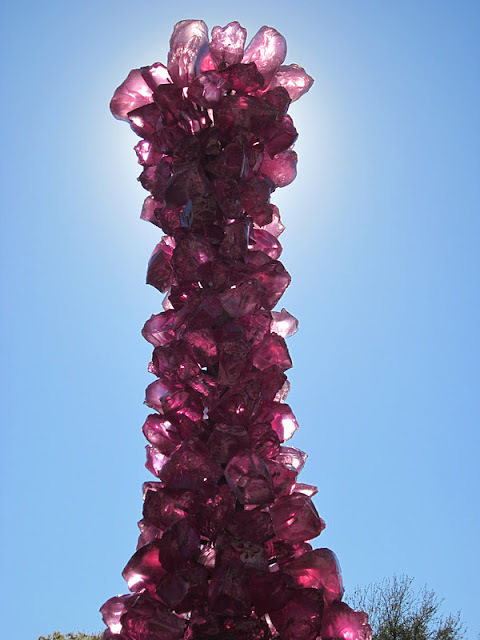 Such a pretty sculpture - it must be stunning with the sun shining on it. Hope you had a wonderful Christmas with your family!